This rookie mistake is one we’ve talked about writing for quite some time now. Why is that? Well, it’s because we see people making this mistake all.the.time. 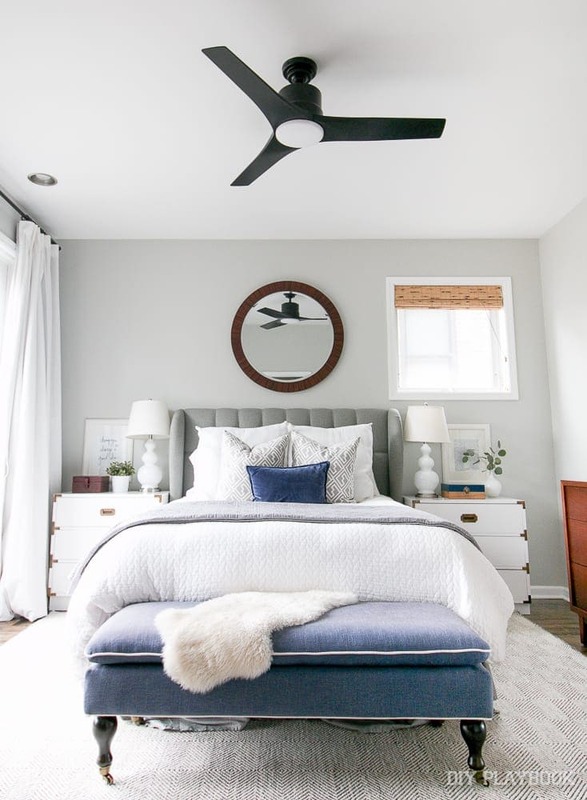 We’ve been in a lot of homes (especially lately with Bridget’s house hunt), and for some reason, a lot of homeowners seem to hang their frames and wall art all wrong. Either it’s too high, too low, or the wrong scale for the space and the wall, which is a bummer because most of the art is so gorgeous! 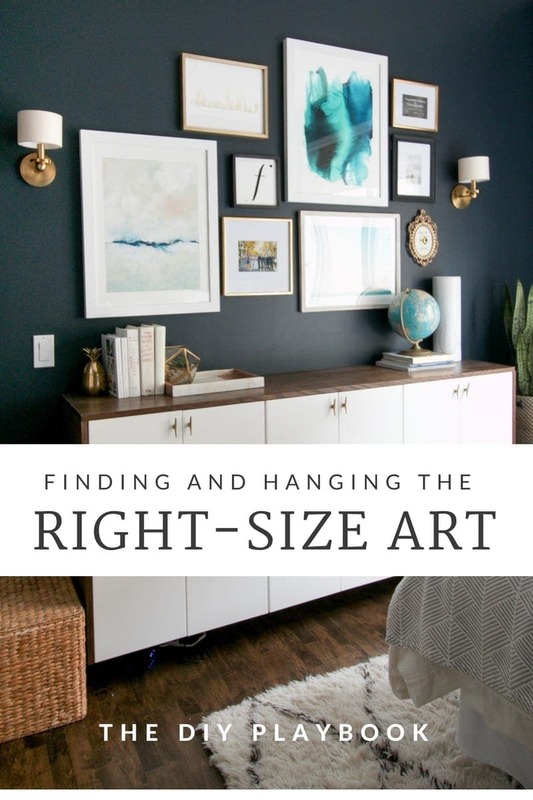 We figured it was time to finally tackle this subject so we can provide you with all of the tips & techniques to hang art on your walls perfectly every single time! We hope that thee new techniques will make that gorgeous art really shine and pull the entire space together nicely. 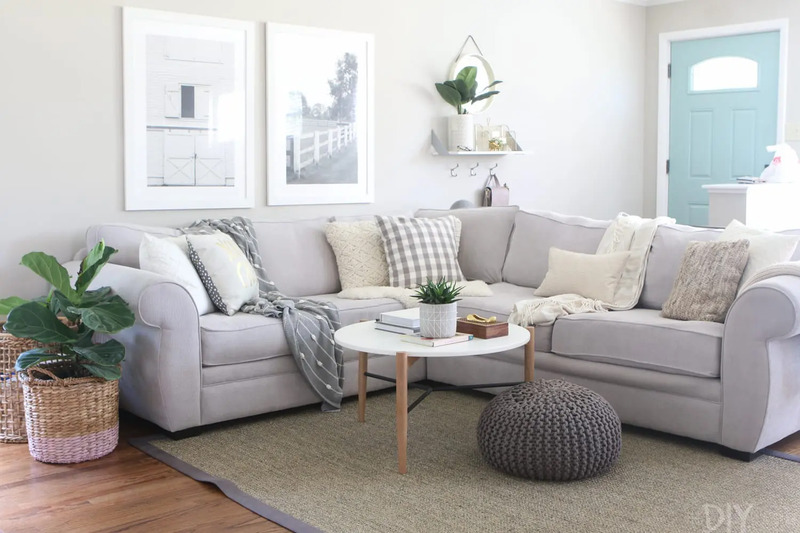 Let’s dive into the problems we see most often and then we can chat about how to avoid these rookie mistakes in your home. We’re not sure why, but hanging art way up high is the most common “no-no” we see people make. It’s almost like you have to crane your neck to really see the piece! Not good at all. Many people go by the rule of thumb to hang pieces “eye level”, but if you’re tall then that may be a bit too high. On the flip side, we occasionally see people hanging pieces way too low. But honestly, we’d rather see a piece too low on a wall than too high. 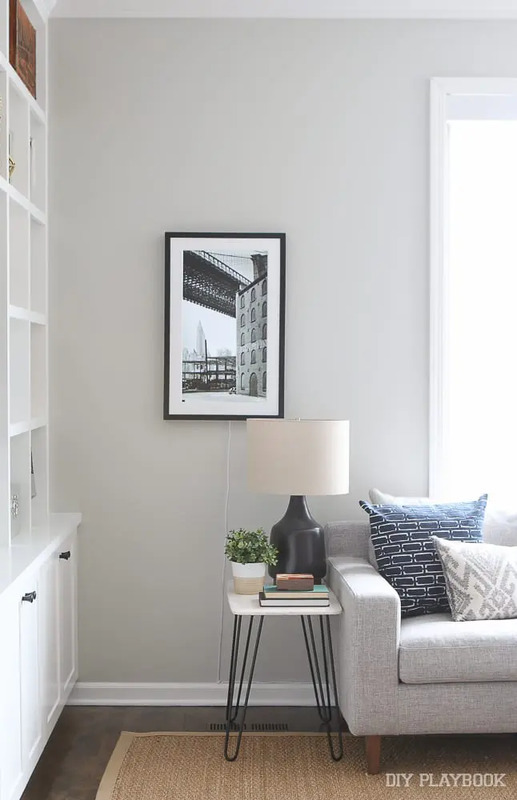 Here are some general tips to get your frames and art hung at the correct height on your walls. Ditch the “Eye Level” Rule: This doesn’t work if you’re tall or your ceilings are low. Instead, think of the wall in 4 sections vertically (from the bottom to the top). Then place your art in the 3rd section up from the floor. Don’t go in the 2nd or the 4th…that’s when you’ll be in the too high or too low territory! 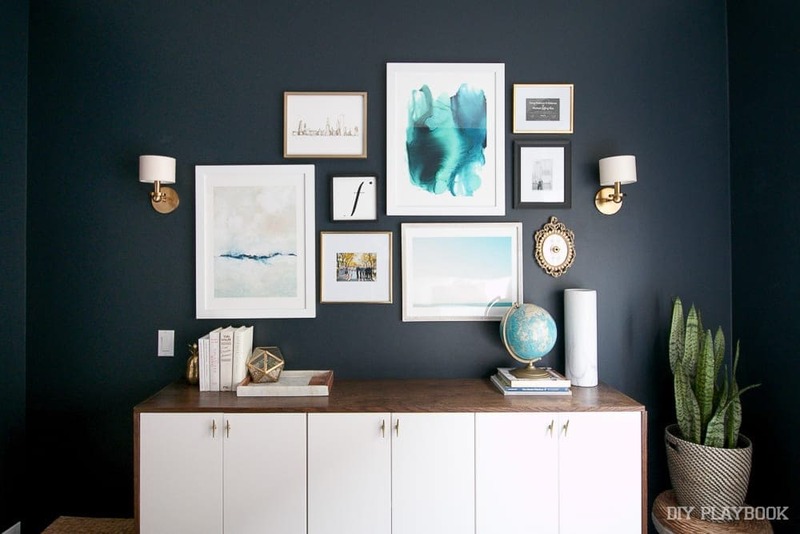 Hanging a Grouping: If you’re hanging a gallery wall, then you want to think of the entire collection as one piece of art. Therefore the very top and the very bottom of the grouping shouldn’t be hung too high or too low. 57-60 Inches Often Works: In general, you can place the center of the piece about 57″ to 60″ off the ground. 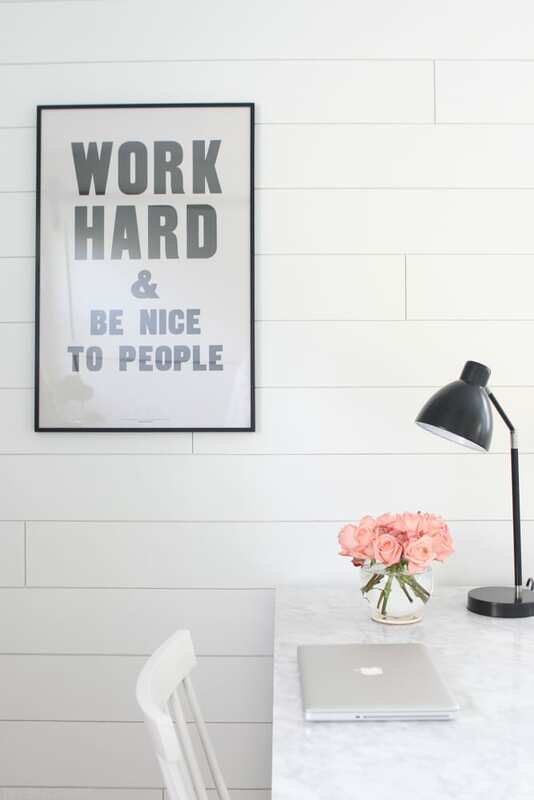 This doesn’t work for every situation, but it’s a good place to start when hanging your piece. Above Furniture: When hanging a piece above a couch or a dresser, there are more things to consider. Typically you should go 4-8″ above the piece of furniture. Most people go way too high and it ends up looking too disjointed. The next big mistake we see people make? Hanging pieces that are way too small. We get it…art and frames can be pricey. And the bigger you go, the bigger the price tag. But scale is oh so important when it comes to wall art and it shouldn’t be taken lightly. Hanging something small on an expansive wall won’t do the piece justice, and it will look minuscule on the wall. 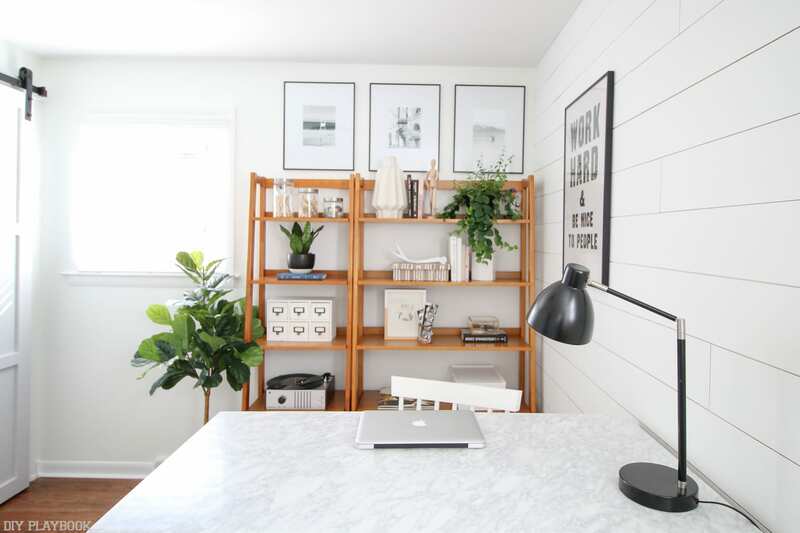 Instead find a smaller wall for the piece, or group it with other wall items to create a collected look. 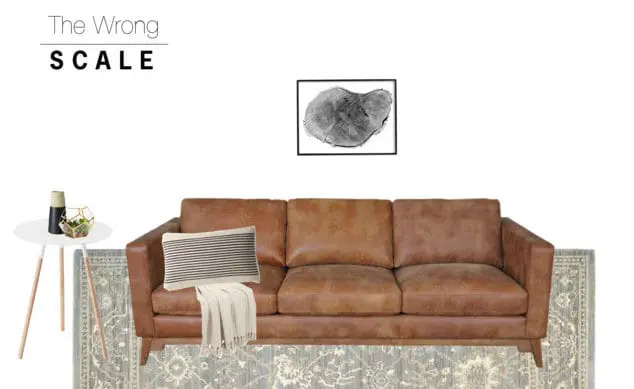 You can even create one large piece with a symmetrical grouping of 2 pieces (like above Bridget’s couch), or 3 pieces (like above Bridget’s bookcase in her office). Here are some general tips when it comes to scale. 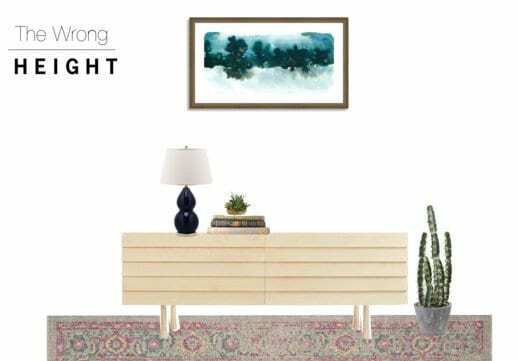 Over Furniture: Make sure the art (or grouping of art) takes up at least 1/2 – 2/3 the width of the piece of furniture. Fill up the Wall: It’s important to take up as much of the wall as possible when hanging your pieces. Bigger is Better: When in doubt, try an oversized piece. It will look 100x better than putting a dinky piece on your wall. Take a Picture: Before you actually hang the piece, we suggest having someone hold it up and take a photo. 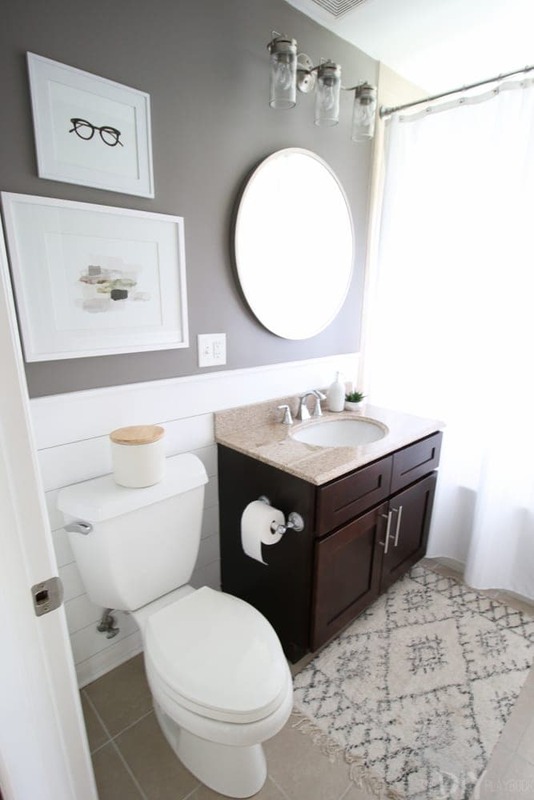 Then look at the picture with fresh eyes and decide if the piece really works for the space. Make the proper adjustments until it looks perfect! Group Closely: If you are hanging a group of 2-4 symmetrical frames or even a gallery wall, then make sure you hang the pieces closely. A couple of inches between frames will ensure that the grouping looks cohesive. 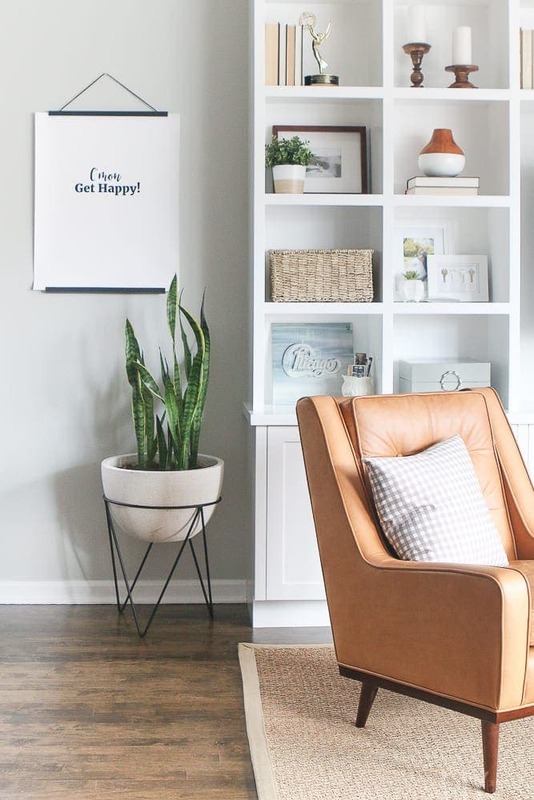 These small tweaks will make your walls look 100x better…trust us! 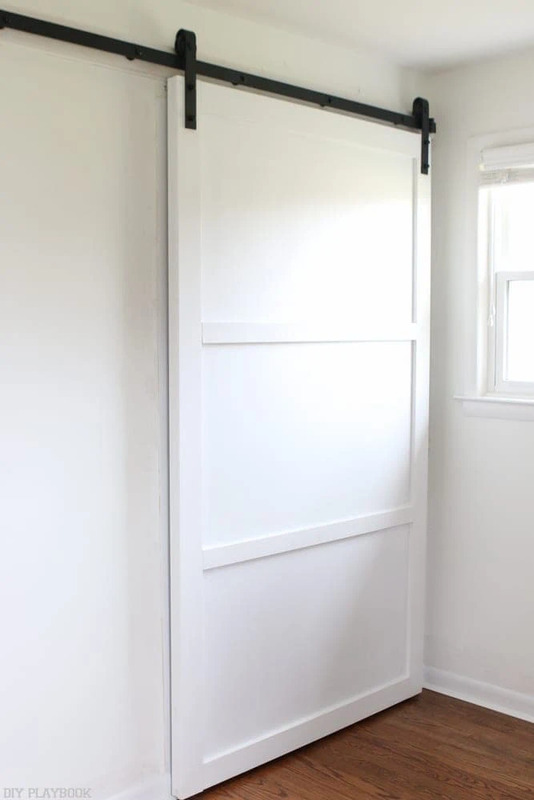 You may have to go around your home and make a few adjustments (& fill some nail holes! ), but we promise you won’t regret hanging your art correctly. It doesn’t matter if it’s your bedroom, bathroom, or living room. Correctly place the frames and art on your walls, and those pieces will really shine and make your home look much more polished. 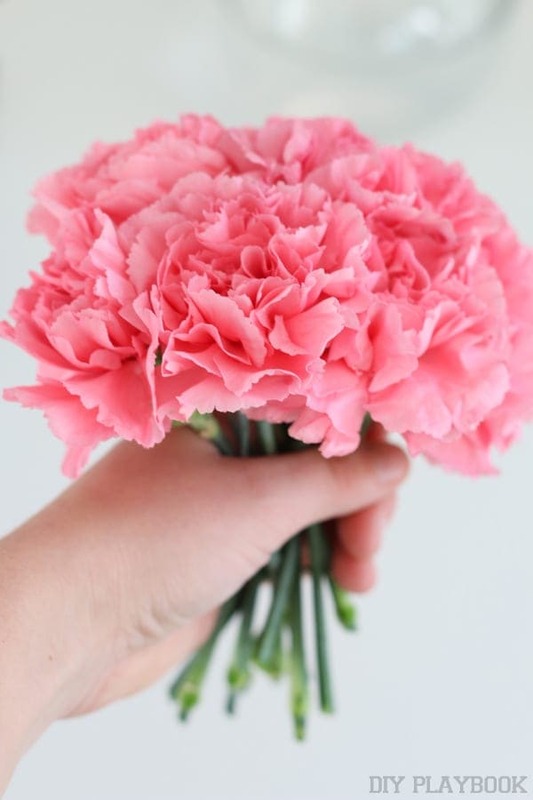 Now we’re dying to know…have you made this rookie mistake? We’re certainly guilty, but have luckily gotten better over the years! And now you know how to properly hang art on your wall!